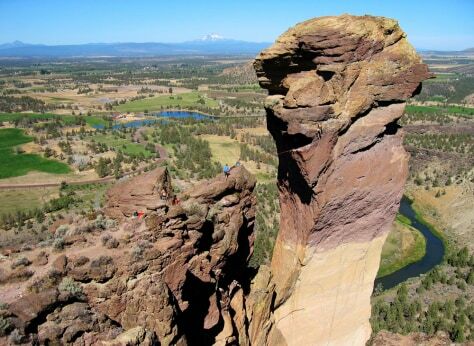 Otherworldly rock formations flank Smith Rock State Park in Smith Rock, Oregon — including the Monkey Face, a 400-foot-tall spire that includes several world-famous routes. Pro climber Sonnie Trotter recommends the East Face route, an extreme 5.13d R—read: expert-level and dangerous—that features a desperate overhanging crack. "The line is flawless," Trotter said. "It's also cool because it continues to get steeper and steeper as you climb."